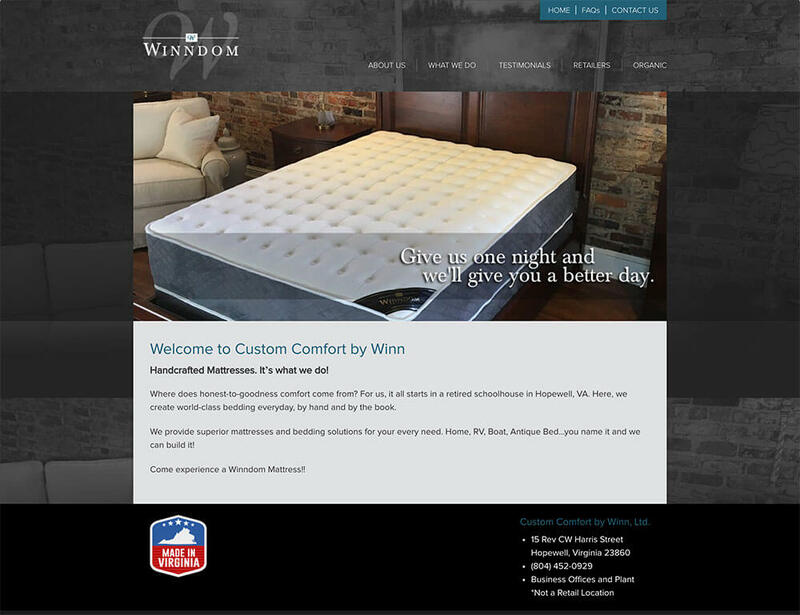 Custom Comfort by Winn is a mattess manufactuter and distrubutor, located in Hopewell. 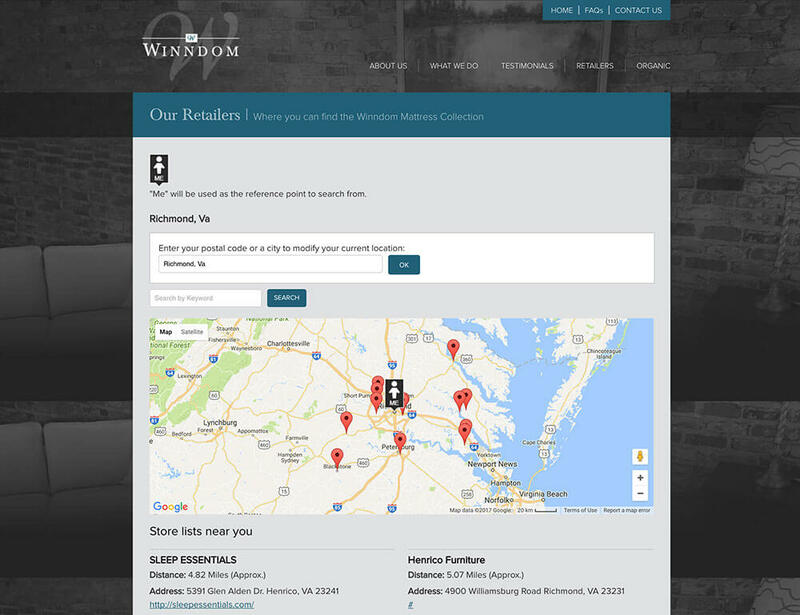 Winndom matresses are sold all over Virginia and are perfect for a good night’s rest. 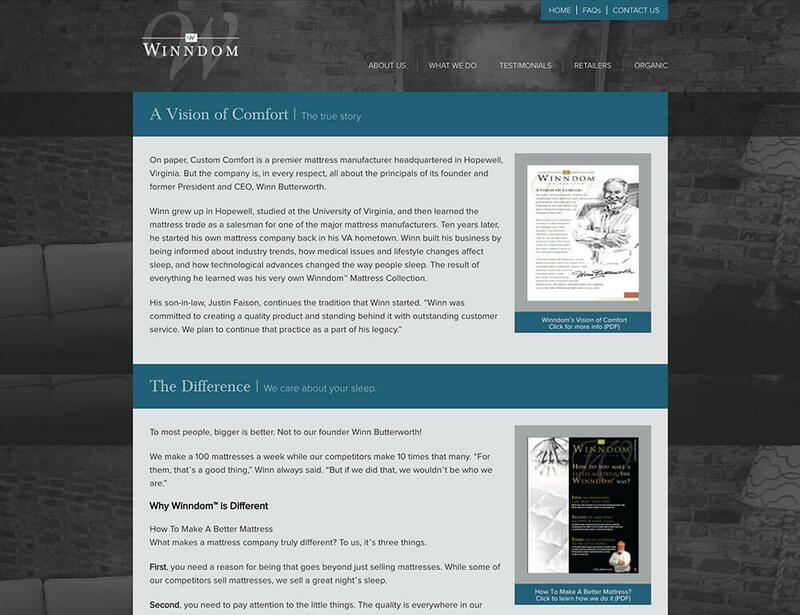 The Winndom Mattress website focuses on showcasing the product and the core values of he company.